The Pakistan Prime Minister, Imran Khan, last week launched dollar-denominated ‘Pakistan Banao Certificates’ for purchase by over 8 million overseas Pakistanis calling upon them to help Pakistan overcome its “most difficult period in its history”. This was a follow-up to his decision not to avail of US$ 8 billion bailout package from the International Monetary Fund (IMF). This was to be Pakistan’s 13th such arrangement with IMF and would have unlocked a whole lot of additional financial support from other multilateral agencies like the Asian Development Bank. 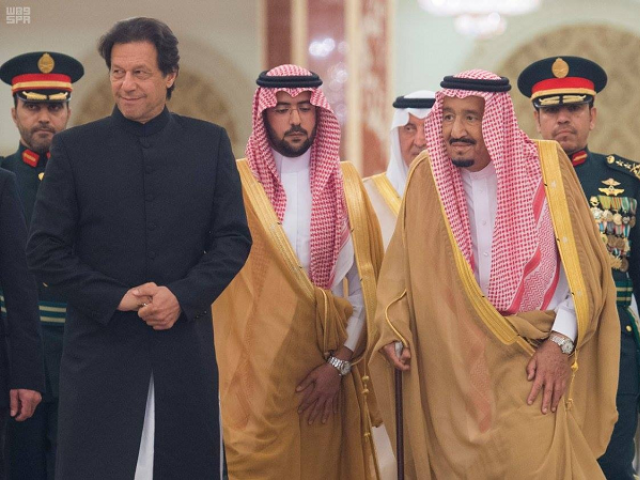 Instead, Imran Khan chose to take loans from Pakistan’s Islamic friends, Saudi Arabia and United Arab Emirates (UAE). However, its all-weather friend, China, is silent about making any financial commitments. The reasons given by Pakistan for calling off its advanced level negotiations with the IMF allude to its conditions such as cuts in welfare spending, raising gas and electricity tariffs, and devaluation of the rupee by making it float freely. But the most critical condition was perhaps the expectation of a reduction in Pakistan’s military spending including cuts on salaries of its Generals. But what is it that which makes China and the China-Pakistan Economic Corridor (CPEC) central to this bailout discourse? Apart from the fact that the Pakistan Army has been a central player in the formulation and implementation of CPEC, Pakistan’s negotiations with IMF since November came in the backdrop of its rising tensions with the US that had last year suspended its US$ 1.3 billion aid given its dissatisfaction with Islamabad’s track record in dealing with terrorism. But the immediate trigger was the U.S.-China trade war that made Pakistan’s growing proximity to China — especially the US$ 62 billion CPEC — a sticking point for the U.S. Several American officials, including then Secretary of State, Mike Pompeo, had raised concerns about the IMF bailout ending up as repayments of Chinese loans. Some of the officials even made direct insinuations linking Pakistan’s economic crisis to CPEC. State Department spokesperson, Heather Nauert, said: “The reason that Pakistan found itself in this situation is Chinese debt”. No doubt, the IMF asked Pakistan to make full disclosures about its debts to the Chinese under CPEC, several of whose terms have remained confidential even vis-à-vis the Pakistan’s National Assembly. The well-known model of Chinese financing of ‘high speed mega projects’ under its Belt and Road Initiative has been one of upfront investments with long-term loans that most recipient nations fail to service. Given their long gestation periods for achieving commercial viability, debt in regard to these projects turns into equity. Projects are then taken by China on a long-term lease. But to their credit, there are several countries, including Sri Lanka, which have found this Chinese model beneficial. In April 2015, China formally commenced work on CPEC and in August, signed a 43-year lease of the Gwadar port (till 2059). Interestingly, the last IMF bailout to Pakistan had come just a year before in 2014. In addition to the IMF, Saudi Arabia had extended a US$ 1.5 billion loan. Yet by 2017-18, Pakistan’s fiscal deficit had hit a high of 6.6 per cent of its gross domestic product. Its foreign exchange reserves shrank rapidly requiring another financial bailout. So, when Imran Khan took over reins of power in August last year, US$ 28 billion worth of ‘early harvest’ projects of CPEC were expected to be completed by 2018. Some of these have since been cancelled, slowed down or are being renegotiated. Statements released by the Pakistan Ministry of Planning, Development and Reform, and the Embassy of China in Pakistan have since clarified that the value of 22 early harvest CPEC projects completed so far is US$ 18.9 billion of which only $6 billion are loans. Pakistan’s Finance Minister Asad Umar has criticized US assessment as “100 per cent wrong”. He said that CPEC related repayments amount to only US$ 300 million which is a minuscule part of total US$ 9 billion debt repayments for the fiscal year 2018. Nevertheless, Imran Khan saw Pakistan fast sliding into a financial quicksand where it had no more than a fortnight’s worth of foreign exchange before its defaulted its debt servicing payments due in 2018. This is what made Imran Khan open negotiations for a U$ 8 billion bailout deal with the IMF, and also reach out to Pakistan’s traditional friends including Saudi Arabia, Qatar, Malaysia, United Arab Emirates (UAE) and even Beijing. Amongst these, Saudi Arabia was the first to announce a US$ 6 billion package to support Pakistan’s ailing economy. It included US$ 3 billion balance of payment support and an additional US$ 3 billion in deferred payments for Pakistan’s oil imports. November saw Imran Khan visiting China and Malaysia but other than giving lip service, both declined to quantify what they were willing to give. Last month, when Imran Khan’s visited UAE, it equaled Saudi Arabia’s aid by announcing a US$ 6.2 billion package. This included a US$ 3 billion bailout package to boost the cash-starved nation’s dwindling dollar reserves and another support package of US$ 3.2 billion for deferred payments for oil imports. Like Saudi Arabia, UAE has had a close relationship with Pakistan from the early 1980s and has so far provided AED 1.5 billion to fund sustainable development projects in Pakistan in the field of transport, water and agriculture, healthcare and education. Pakistan also continues to benefit from UAE’s 2016 15-year contract with Qatar for the supply of LNG with deferred payments. While all this remains only a stop-gap arrangement for managing this year’s repayments, Pakistan will need to explore long term solutions to its debt crisis. It is also important to recognize that it is Pakistan’s Islamic friends, not its all-weather friend China or the U.S., which are underwriting its finances thereby providing it the courage to stand up to the IMF which comes up with conditions Pakistan cannot accept. ( The author Dr.Swaran Singh is Professor, Jawaharlal Nehru University (New Delhi) and senior fellow, Institute for National Security Studies Sri Lanka).